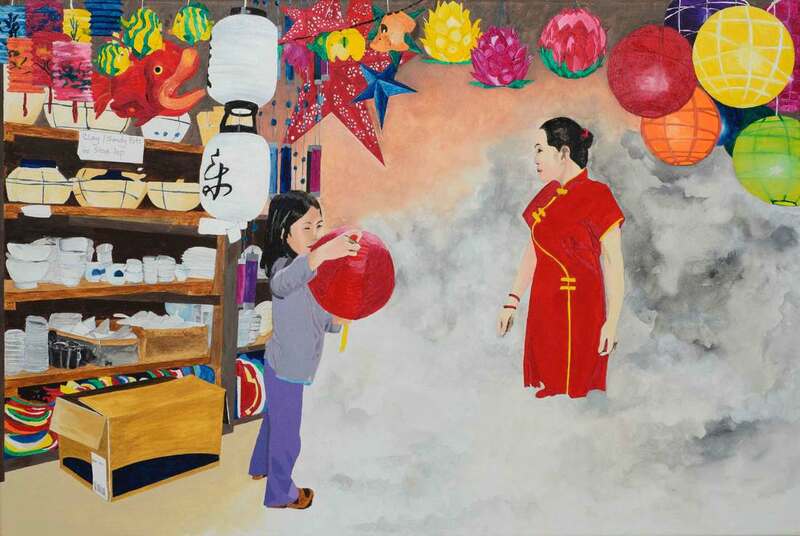 In this painting, Annie, the main character in The Red Lantern, opens up the red lantern and meets the Jade Emperor's daughter for the first time. Thank you for your interest in buying the painting "Red Lantern." As soon as I receive this request, I will contact you to confirm order details and total amount of purchase.